When God moves, He MOVES! And the SSL family is moving, folks! 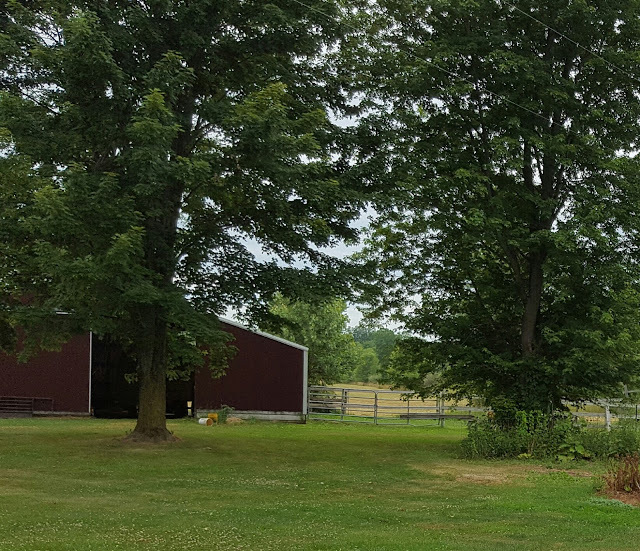 We knew it was only a matter of time before we moved our growing little homestead onto more property, we just didn't know exactly how it was all going to work, or where we were going to move to. There are so many details and things that have to happen when you buy and sell a home, it can be overwhelming just thinking about it. And raising three kids in the middle of it all. And we have jobs. And our house is full of stuff. Oh my goodness. Several years ago, Michigan (and many other U.S. states) suffered a major recession that we still have not yet fully recovered from. When we were shopping for our house five years ago, there were only foreclosures available at majorly discounted prices. It was a great time to buy, but also a very difficult time to buy. We made many offers on many homes, only to lose them to higher bidders. It was emotional and draining. Now flash forward to present-day Michigan. Things are looking brighter, new homes are being built, and real estate prices are rising. Springtime brought a seller's market and homes were selling fast and sometimes for more than asking price. This made us start to wonder if the time was right for us to sell. But there was one problem. We could sell our home very quickly, but inventory was low, and homes we really liked were sold before we could even look at them. Should we buy property and build? Should we sell and live in our camper while we shopped for houses? We just didn't know what to do. Above all else, more than anything, we wanted God's hand in everything we did and His will to be done, not ours. We prayed, and prayed, and took it one day at a time. We knew we needed to prepare to sell, and that's about all we knew. We took advantage of every garbage day and threw out huge piles of junk. We took road trips with our Trulia app open a few times a week. And we contacted our mortgage guy to get the ball rolling with a pre-approval. Let me take a moment to tell you how important it is to have a great mortgage person. And ours looks exactly like Al Pacino, so that is an added bonus. He helped us last time we bought, and he's been even more amazing to us now. If there's anything I've learned over the past few months, it's that real estate is a tough business to be in and you pretty much work 24-7. Al Pacino answers the phone anytime of day, any day of the week. We love you, Al Pacino. You were awesome in Donnie Brasco, by the way. Eleven days ago, we finally decided that we needed to go for it, and list our house. We knew there was a chance we could be homeless, because there were literally zero homes on the market we wanted that were available. So we texted our neighbor who is a real estate agent and a great guy. He ran a market analysis to give us an idea of what we could sell our home for. Last Tuesday, I spent my entire day driving the backroads within a 15 mile radius of our house scouring for anything with more than five acres. I was determined not to come home until I found a home for us. But nothing. Dang it all. I stayed up super late that night looking at all of the real estate apps on my phone hoping I missed something earlier that day. And listening to the SSL Family Dad snore. And freaking out a bit, yet still believing God would provide. And then, at approximately 2:30am I found it. A home on over 20 acres? No way. We could drive out that way tomorrow, but I just knew a house like that had to be already in the process of being sold. So last Wednesday, we drove out to see it. We were greeted by a goat and two horses, and did exactly what our realtor told us not to do, we FELL IN LOVE. We called Al Pacino, made our offer that night, and it was accepted the next day. We listed our home on Saturday, and it sold on Monday. We are overwhelmed, and still in shock. Thinking back over the past week brings me to tears. We are so utterly grateful to God for His provision. We can't wait to share more with you. God moves in mysterious ways. We've decided to sell our place and look for a larger plot of land. Thank you for the timeliness of your post, I've been wondering what God has in plan for us. Sometimes we just need a little reminder to keep our trust in Him. How exciting to see the Lord's leading in your family! I am a realtor in the Flint, MI area with Re-Max Town&Counrty in Flushing, MI. If any other blog followers are in the market to buy or sell, it is a great time!!! I'd love to help you out!!! Happy moving! 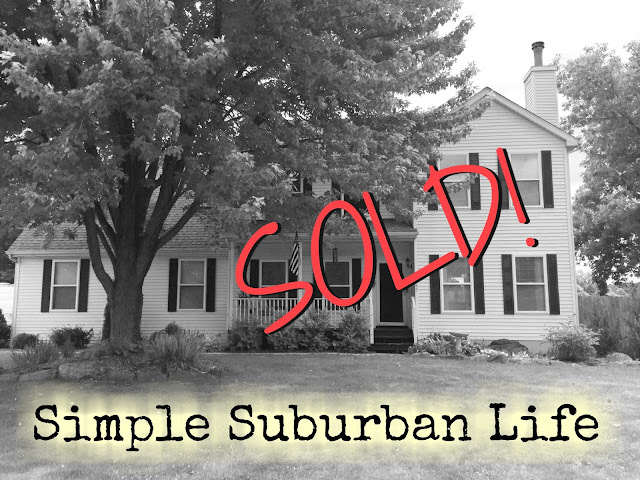 Congratulations on the sale of your home and moving to a bigger property!!! WOW! So excited for y'all! Can't wait to see the property! Great tutorial - can I do this over about 3 layers of linoleum in my kitchen? swiss replica watches sale , combining elegant style and cutting-edge technology, a variety of styles of cartier santos replica, the pointer walks between your exclusive taste style.